Buy Gold Online at the Cheapest Prices Anywhere! You can buy gold online through GoldVu at the lowest retail prices we know of on the internet. These extremely low prices relate to smaller quantities, starting at 1 gram and up to a maximum of 100 grams per order. We are in a position to offer you such low prices due to a special partnership between Legacy Gold and the oldest refiners of fine gold in the United Kingdom, Stephen Betts Group. As part of our commitment to bring you the best value in physical gold bullion (definition) investments, we have teamed up with Legacy Gold in order to provide you with a route to the cheapest gold available on the market anywhere. Why Should You Buy Gold Online Through Us? You are here to either shop around for the best deal on the internet, or you are looking into the idea of purchasing precious metals and are generally browsing for further information. To start making purchases, click here to visit our partnership page and click on 'Open an Account' near the top of the page. I believe that the ability to buy physical precious metals should be available for everyone, and the easiest, most cost effective way is to buy gold online. However, at the same time, I also appreciate that everyone has a different budget and the gold bars you see around in photos is beyond what most can afford. For example, a 1 kilo gold bar (about the size of a standard smartphone with a 5 inch screen) will cost you over USD$40,000! And that's at the low wholesale prices. Furthermore, access to that wholesale priced gold bullion starts at a minimum of 100 grams. So even the smallest wholesale purchase can be too much for many people without saving up for it first. I want you to avoid those high wholesale minimums so you can start your investments into physical gold bullion straight away. I want the cost of entry for you to invest into precious metals to be as low as possible, by removing the barriers of high investment costs into bullion. To do that, we are providing you with the ability to purchase the smallest quantities possible at the lowest prices possible. Quantities of 100 grams and less, are considered retail amounts rather than wholesale, and are priced accordingly (no different to anything else bought in bulk or single units). However, the way that this has all been set up for you means that you could achieve a discount up to 30% against other retail prices offered to you via the internet. Find out how why you get such a low retail online gold price. Being able to buy gold online in quantities as small as 1 gram at a time gives you the opportunity to regularly save into physical gold bullion due to its low cost per unit bought. 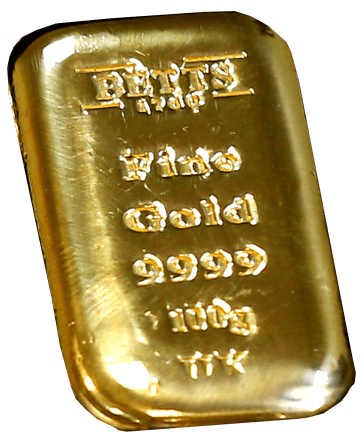 Generally, people have the impression that investing into real physical gold bullion is only for the wealthy. That is not true, as you will find that buying just 1 gram of gold is more affordable than you realise. Buying as little as one or two grams of gold each month will quickly build up your savings in the metal. You also get the added bonus of having it all protected outside of the banking system, so you no longer have to worry about your money being caught up in bank bail-ins or being affected by a problems in the economy or financial system in general. You will get FREE storage for 6 months included with each purchase when you buy gold online through our partnership with Legacy Gold! That free secure storage applies to the first six months for each and every purchase you make through our Legacy Gold partnership. We know that not everyone will want keep their physical bullion at home, so we offer you secure and private vaulting facilities at which you can store your precious metals instead. You are able to come and visit your stored gold, however, that is only available for bar holdings over 0.5 kilograms. This is because the associated operational and staffing costs for quantities less than that makes vault visits too difficult and costly to action. Keep it stored in a private high security vault until you sell it. Withdraw it to have it delivered to the address registered on your account. You can also elect to have your metal delivered to you at the time of your purchase, so that your bar(s) will be sent straight out to you. The whole idea underpinning our partnership with Legacy Gold is to provide the cheapest physical gold bullion you can buy on the internet. To that end, we offer only one secure vaulting location to investors that wishing to have their metal privately stored. The vault location is in the United Kingdom. If your gold is held outside the USA - it's not a reportable asset. That gives you another degree of insulation should the United States Government decide that you shouldn't own it. The reason why we don't offer other locations like we do for wholesale purchases is because the refinery we use for orders less than 100 grams is Stephen Betts Group, and they are located in the UK. Therefore maintaining the bullion in a single location in the UK close to the refinery helps to keep costs down. These reduced costs include things like shorter transportation from the refinery to the vault, and the avoidance of higher administration costs associated with multi-vault management. Keeping this simple and straightforward equals lower costs, so you are better able to afford buying gold online. Discover more about storing your bullion in the UK. …as long as you reside in a country that is not generally blacklisted by the UK government. If your country is OK, then you can buy and vault through us no problem. In fact, it is well regarded that you should always look to keep a small portion of your assets outside of your country of residence/citizenship. When it is so simple and cheap to action it through us here, what is stopping you from doing it? It's not a matter of how safe your country is or how stable your society and government are…it's because absolutely no-one can predict the future. What maybe fantastic and safe today and has been for the last few centuries, is not guaranteed for tomorrow. It is all about simple prudence, and you only need to put the smallest amount of money overseas to mitigate any potential financial risks at home. You pay in your local currency, be it GBP, USD etc, but during the processing of your order it will be converted into Euros. You also pay for your purchase at the time you place your order. You are not required to maintain a cash balance in your account first, it's just a simple pay as you buy process. The minimum quantity you can order is 1 gram of gold and the maximum is 100 grams. Discover more about the prices you pay when you buy gold online with us. Visit our Legacy Gold website and click on 'Open an Account' near the top of the page. The process for opening an account is easy and requires your basic details and just the minimum documents needed to meet the necessary KYC and AML laws. You could be ready today to start buying gold online, so what's stopping you? Click here to get yourself started. Everyone that opens a Legacy Gold account is able to upgrade themselves to an affiliate status, absolutely free of charge just by going to the 'Change Personal Details' link on the Legacy Gold website when you are logged in. Becoming an affiliate will not affect your ability to buy gold online as normal. It is also your choice if you want to use the code or not. You may not wish to act as an affiliate, but if you know someone that is wanting to buy gold online affordably, and you recommend the Legacy Gold route...why not give them your affiliate code too? It doesn't make their purchase any more expensive or cheaper if you use it or not, so why not earn a buck or two from it? You might like the sound of receiving extra income every time someone you recommended buys some gold. If that's you, then pointing people in the direction of Legacy Gold is not a difficult or time consuming act. It could be the start of a path that leads to a nice income and even the creation of your own business. I believe that physical gold is due for a great rise in both price and prominence in the financial markets. This stems from the uncontrolled worldwide creation of public and private debt that has now become unserviceable, plus the constant fiscal mismanagement by governments. Getting in the ground floor of a sector that has an incredible future is where you should be, even if only part-time. I look forward to seeing you build your future through our Legacy Gold partnership.